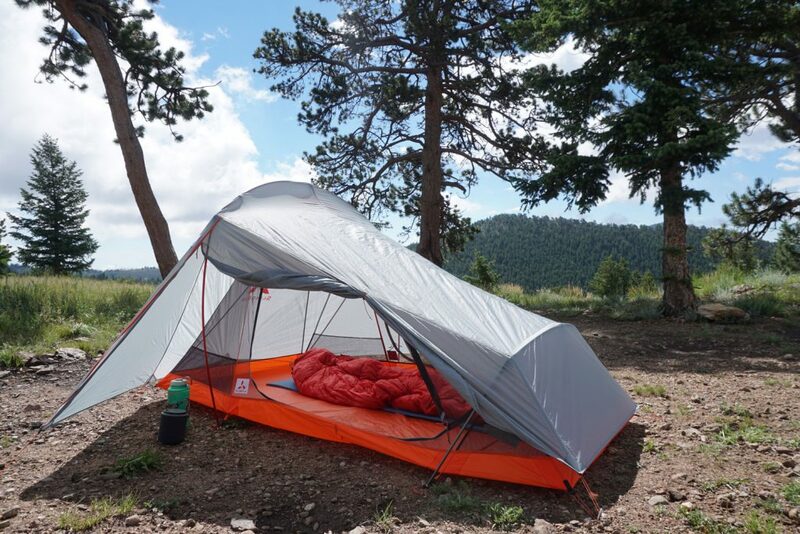 “Lite” is right when it comes to the SlingFin 2Lite Tent. Like all of my gear, it passed the kitchen scale weight test, making its way into my pack for a couple of summer adventures. But weight isn’t everything. As a full-time professional mountain guide, it is important for me to have reliable shelter in the backcountry. 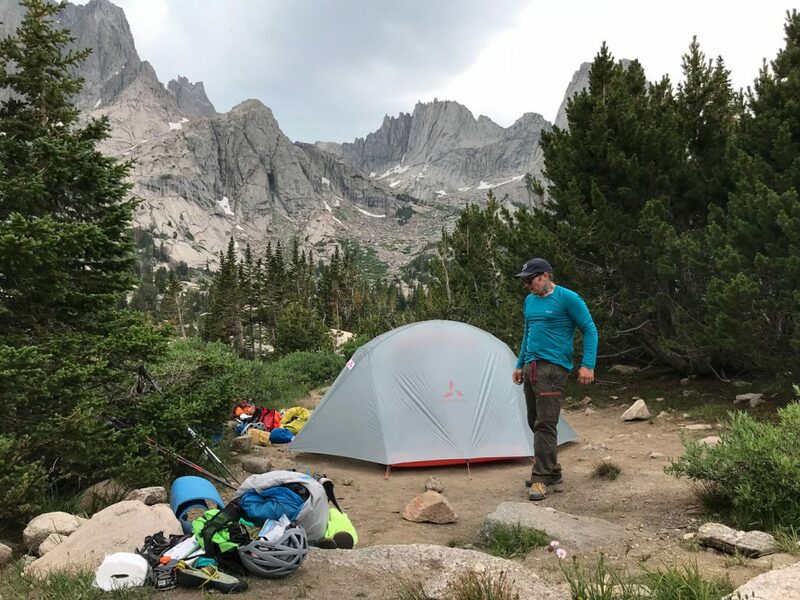 So I put the tent to the test with its first two outings in Rocky Mountain National Park and the Wind River Range of Wyoming: venues known for challenging weather. 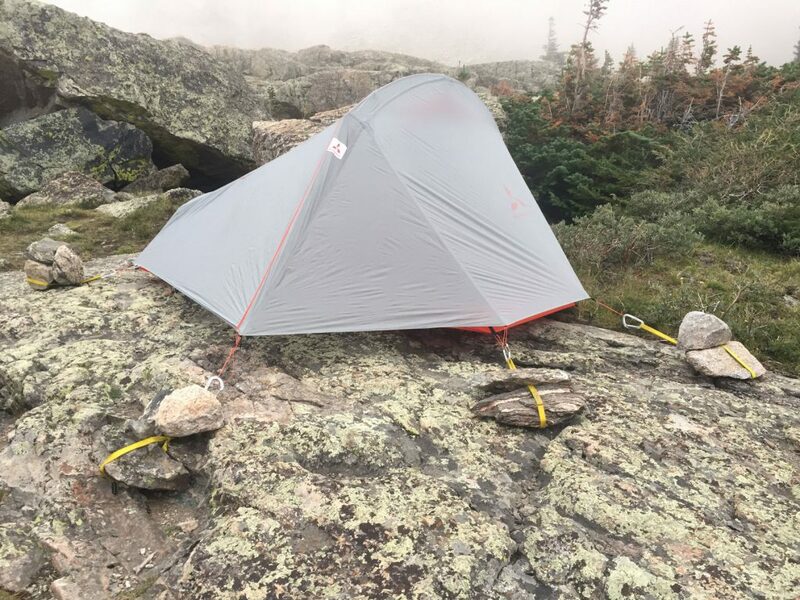 These trips tested the durability of the tent in various weather conditions including gusty winds (up to 30mph) and pea-sized hail. It endured storms ranging from 20 minute rain showers to night-long rain and hail storms. My partners and guests were able to stay warm and dry on the inside, regardless of conditions on the outside. Thus, the tent passed the second test of my rigorous tests: weather durability. Let’s get into the details. 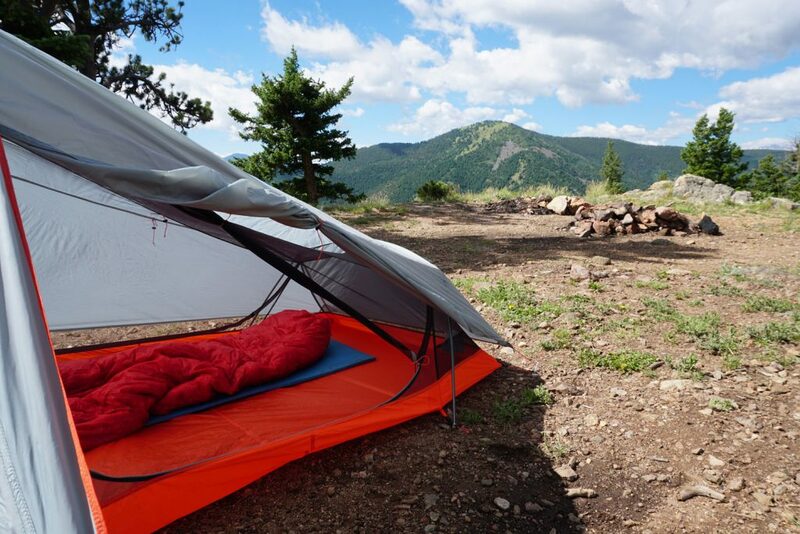 The Slingfin 2Lite is a well-designed tent that is spacious enough for two. Weighing in at two pounds 14 ounces and taking up little pack space, it is easy to bring along for a trip. The tent boasts two large vestibules with low enough protection so stored items don’t get wet. With a door on either side you get easy access regardless of which side of the tent you choose, and there is plenty of headroom to sit up in the tent. 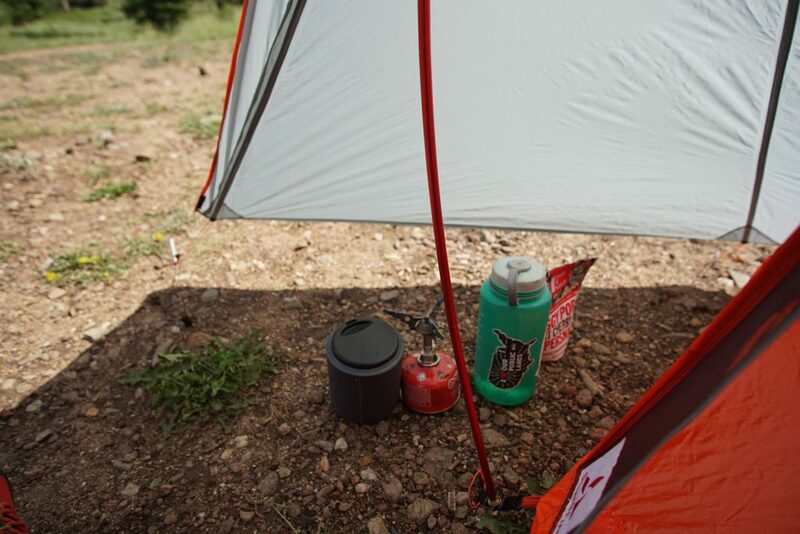 It’s all about the details, and I loved the three inside mesh pockets store all the little items that you don’t want to lose in a tent as well as the lightweight string on the inside for hanging items like a headlamp to read by or clothing that needs to dry. The interior mesh body provides superb protection from the bugs. This was a huge plus in the Wind River Range; it saved us from having to bathe in bug spray to sleep. 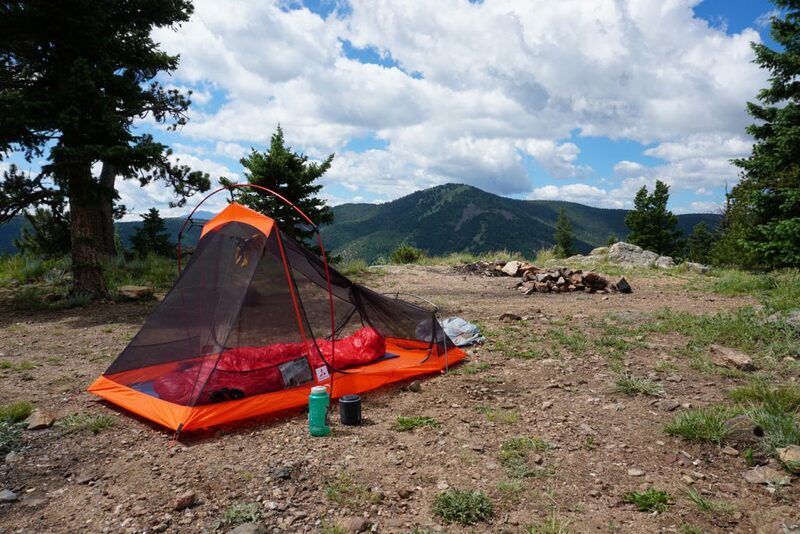 This tent also easily converts to a 4oz lighter version, using the same body, fly, and foot pole. 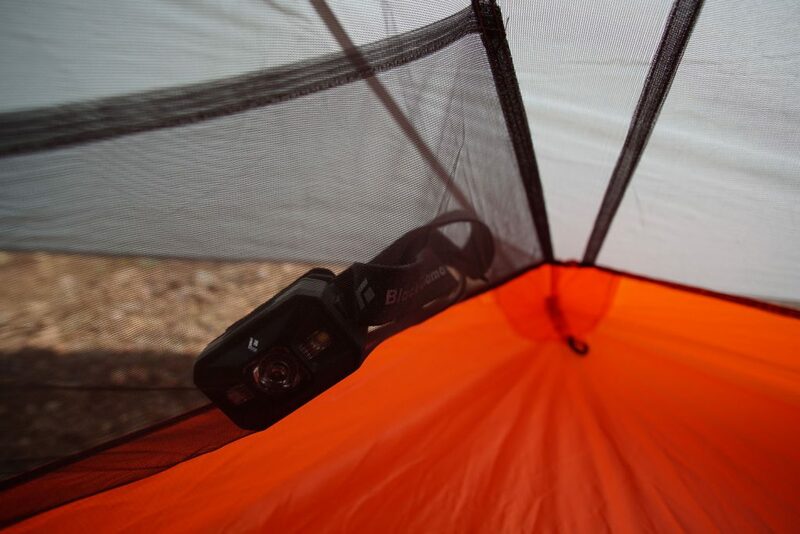 Which is really nice to have the option to use the standard 2Lite if you’re base camping, hiking without poles, etc, but really nice to be able to save that extra 1/4 lb when you need. There are few things that could be improved in this tent design. First, when pitching the tent, the body has to be pulled very tightly in order to properly attach it to the pole. The tension created by this causes concern for potential wear and tear over time. 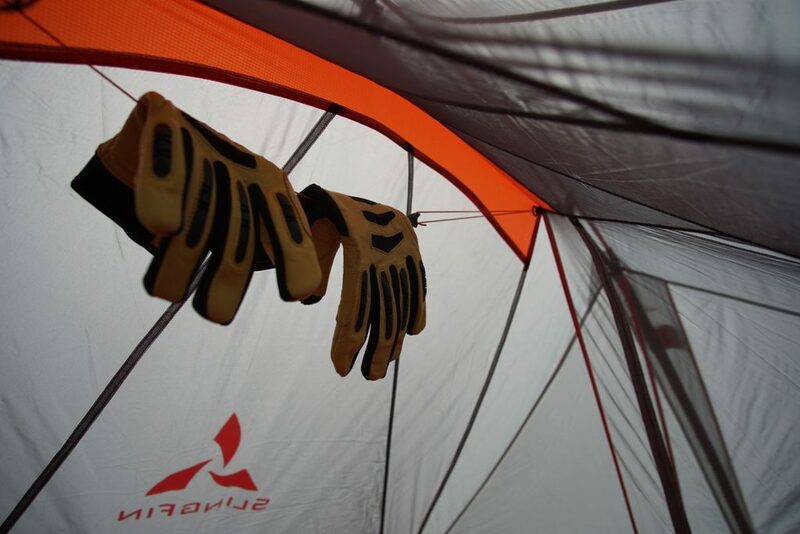 Second, the tent fly became discolored after drying out from the rain. While this might be only cosmetic, it makes me wonder if the DWR coating is also being affected. Time will tell on both of these concerns! Third, when the fly got wet, it was a bit saggy and wouldn’t properly guy out due to a lack of attachment points. Despite this, the tent and its occupants remained dry in adverse weather conditions. I would give this tent 4 out of 5 stars. It was durable in a variety of conditions, was easy to use, and is spacious for a lightweight tent. The tent met my expectations and exceeded them in some categories like ease of use and small design features like fly tie-ups. 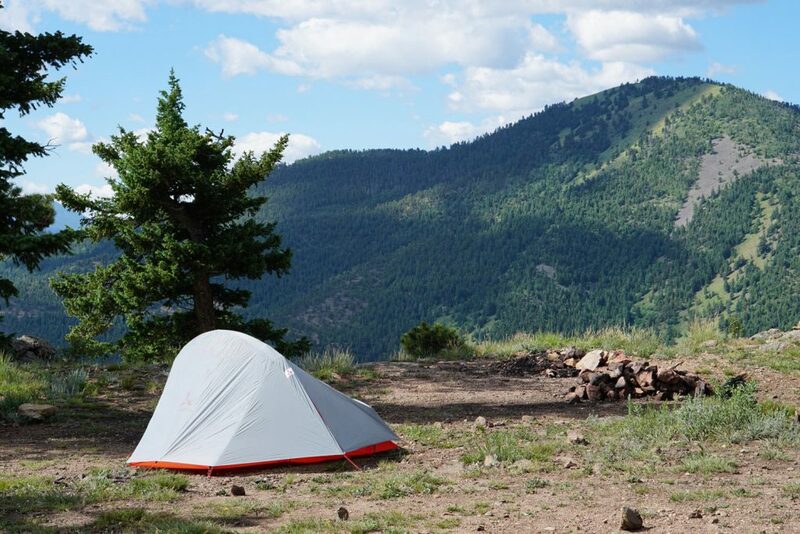 This tent is a great offering in the ultra-light 3 season tent market. 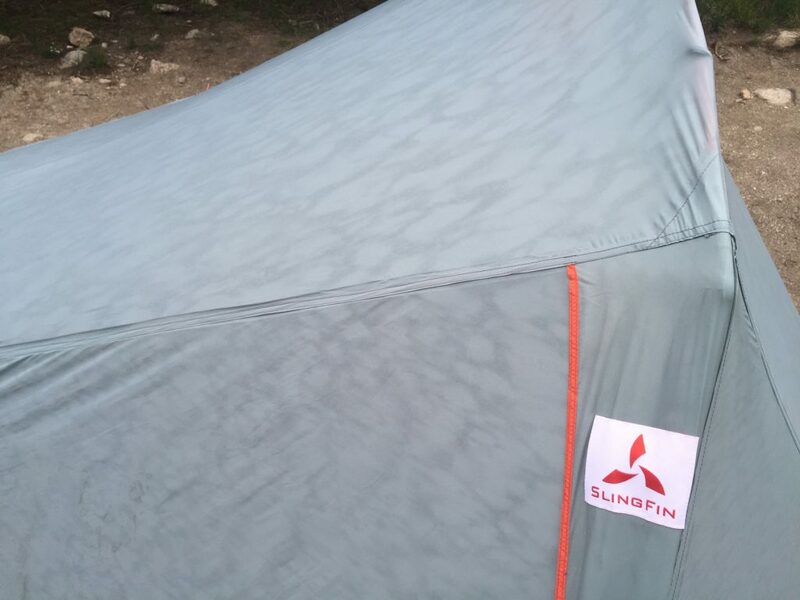 I will definitely be using this tent again and will keep an eye on SlingFin as a company for innovative products. Shop the SlingFin 2Lite on Outdoor Prolink. Not a member? Apply today! Wes Calkins is a full-time guide for Colorado Mountain School. He leads rock and alpine climbing trips throughout the year in the Front Range of Colorado, Moab, and the Red Rock of Vegas.